Look forward to going to bed each night by upgrading your bedroom with this beautiful made in America upholstered king size bed. This transitional look will wonderfully compliment most existing pieces in the bedroom. Upscale microfiber upholstery for the perfect comfort and look. 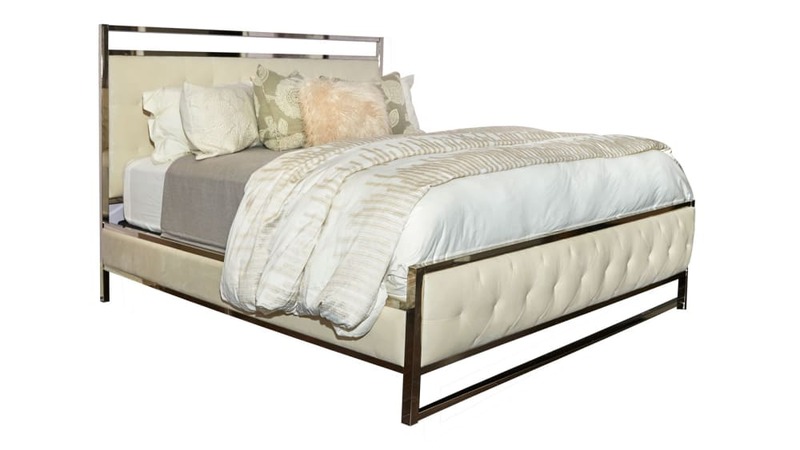 Beautifully tufted, giving transitional feel allowing to compliment most bedrooms. Available for same day Greater Houston delivery.